Leaders Conference delegates have the opportunity to visit Liverpool City Region manufacturers and innovation hubs for FREE. Tours will be taking place Tuesday 14 November (the day before the conference) and Friday 17 November (the day after the conference). Please note: Registration for the tours are now closed, if you have registered previously and have any questions please contact events@hennikgroup.com. Liverpool is birthplace of the Range Rover Evoque and Land Rover Discovery Sport, both of which are produced at Halewood. Trace the same journey that over 100,000 tonnes of steel makes each year as it arrives in the press shop, and leaves the factory 48 hours later. Since 2010 production has trebled, with more than £600m of investment in new machinery and infrastructure – the company is one of the region’s poster pin-ups for advanced manufacturing. 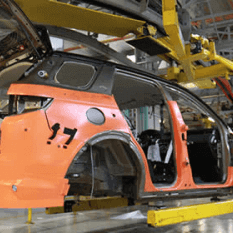 This factory tour will give you a flavour of Jaguar Land Rover vehicle manufacturing, with an expert guide providing an overview of the production process to specific customer orders. This will concentrate on one area of the build process, namely Trim and Final Production. At the end of the factory visit you will have the chance for a short debrief on the factory’s digital manufacturing story including a Q&A session with members of JLR team. Restrictions: All limbs must be covered and appropriate footwear must be worn. No photography allowed in factory. Please note that the tour requires a substantial amount of walking. The new, purpose-built hub offers start-ups and existing companies the technical expertise, business support and international platform needed to collaborate, fund and promote sensor solutions and IoT to a global market. 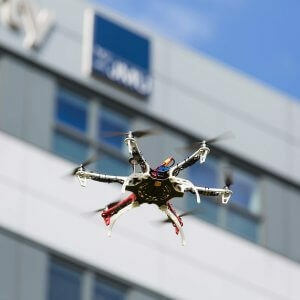 Positioned at the intersection of industry and academia, Sensor City facilitates connectivity and fosters progress, helping partners to capitalise on the growing sensor revolution, and develop concepts into prototypes with speed and accuracy. Delegates will be offered a tour of this specialist facility to see first-hand how sensor technologies are facilitating the fourth industrial revolution and will hear from like-minded professionals and companies how sensor technologies have improved products, processes and efficiencies. Sensor City is backed by both the Department of Business, Innovation and Skills (now Business, Energy and Industrial Strategy, BEIS) and the European Regional Development Fund (ERDF). The Virtual Engineering Centre delivers innovative Digital Engineering solutions to industry, through academic research and the latest scientific and technological infrastructure. It helps organisations to deliver their digital strategies, with the key aim of enhancing capability and transform business performance and competitiveness – it achieves this through the evaluation, application and adoption of digital tools and techniques. Companies, including SMEs who work with the VEC gain access to a leading centre in: advanced modelling and simulation, autonomous systems and robotics infrastructure, virtual test beds and immersive visualisation. The Hartree Centre transforms UK competitiveness by accelerating the adoption of high performance computing, big data and cognitive technologies. Hartree has partnerships with many organisations such as IBM and Unilever, and applies the most technically advance high performance computing, data analytics and machine learning innovations from the research community and partners. This allows the Hartree Centre to address real life challenges and deliver transformative gains in performance, innovation and time to market for UK industry. Services include collaborative projects, research/Invention projects, software development and optimisation, platform as a service and training and skills. The facilities, high performance computing, big data analytics clusters, cognitive computing platforms, energy efficient platforms, software and visualisation suites. 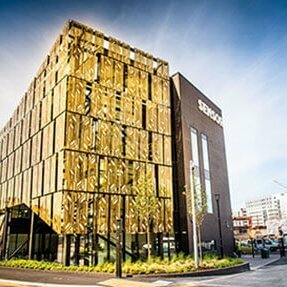 Campus Technology Hub, this purpose built engineering facility enables businesses, universities and research organisations to work in partnership to tackle engineering challenges through rapid-prototyping. See how 3D printing technology can be applied to medical, automotive, aerospace, electronics and building construction. The CTH also eliminates the need to develop, buy or pay prohibitively high prices to use engineering R&D capabilities as there is an impressive array or tech, equipment and expertise. CTH offers laboratory space for ‘proof of concept’ projects, high-specification equipment, flexible power, network and benching, test equipment and flexible workspace with in-house expertise. Techspace One is a laboratory and office building for companies from sectors such as biomedical, materials, process technology and clean technology with approximately 10 to 50 staff. 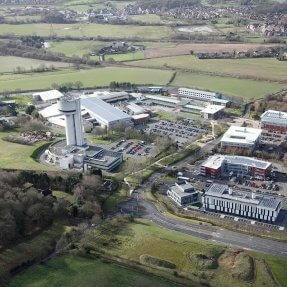 The building provides high quality facilities for science and technology companies developing or upscaling their business. The 3-storey multi-let building provides a combination of 33,000 sq ft of wet and instrumentation laboratories, together with grade A office accommodation. The three individual uses are separated on a floor-by-floor basis. Engineering and Technology is a pioneering Faculty, dedicated to providing knowledge and opportunities to ensure its 4,085 students can excel within their chosen discipline. Courses and research are delivered across a diverse field, in areas ranging from computing and engineering to maritime studies, built environment and product design to mathematics. The faculty is very proud of its varied research landscape. From microwave technologies to maritime logistics, teams of researchers have achieved excellence in their fields, producing high-quality, high-impact work; work that not only has commercial application, but also has a positive impact on both economic and social wellbeing. The faculty prides itself on strong links with industry which are particularly evident through a number of ERDF business support projects such as LCR 4.0, Low Carbon Eco innovatory, Maritime SuperSkills and LCR Activate. Materials Innovation Factory – delegates with a focus on materials science and/or FMCG or chemical properties are encouraged to visit a UK first in the Materials Innovation Factory. The Materials Innovation Factory (MIF) draws together world-leading research and technologies in materials chemistry, and the seamless integration of computational and experimental models. 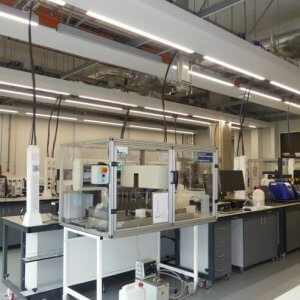 The MIF Open Access Area houses one of the highest-concentration of materials science automation robotics in the world. MIFs expertise in automated materials discovery has enabled them to develop a bespoke robotic platform – the Formulation Engine – also housed in the Open Access Area. Capable of handling multiple workflows simultaneously, the modular Formulation Engine allows a range of automated techniques to be flexibly incorporated into a research work stream. Delegates can hear about “the Liverpool Model” a unique and flexible approach to engaging with business, proven in a 10 year successful track record operating the Centre of Materials Discovery.